LaShaun Rousselle Mystery Series - A Darker Shade of Midnight is the first book in the LaShaun Rousselle paranormal mystery series. The second book is Between Dusk and Dawn. The third book is Only By Moonlight. Into The Mist is the fourth title in the LaShaun Rousselle mystery series. In A Darker Shade of Midnight by Lynn Emery, LaShaun Rousselle is returning home to Vermillion Parish,Louisiana because her grandmother is dying. Shortly after crossing the county line, LaShaun finds herself sitting in the sheriff's station wondering what bogus charges warranted her being detained. Yes, she has a scandalous past that caused her to leave home ten years ago, but that is the past. When the sheriff department finds nothing but a broken taillight, feisty LaShaun cannot help shaking up the sheriff and the department by issuing them a challenge, knowing some fear her voodoo powers. With that settled, LaShaun is looking forward to making peace with her grandmother, Monmon Odette, and catching up with family. Unfortunately, life will be anything but peaceful for LaShaun - greedy relatives, a sadistic ex-lover, an attraction to a deputy, an evil force and murder all come into her life. Fearing that mayhem and evil are a curse she cannot overcome, LaShaun starts to despair that she should not have returned home. Will LaShaun be able to trust her psychic powers, and accept help from unexpected sources, or will the demon win this round for her soul? A Darker Shade of Midnight is a tale of revenge, deceit, betrayal and political corruption. This combination makes for a juicy murder and the plot serves up several victims. Drama of the family fighting among themselves adds another layer of tension and intrigue to a plot with all kinds of twists. Emery is known for her love ofLouisiana, a setting she vividly brings to life in this story. I enjoyed how the paranormal elements were skillfully woven into the storyline with grace and ease, being a natural part of the locale. Monmon Odette closed her eyes after a few moments. LaShaun watched the slight rise and fall of her grandmother’s chest. After a while, she gazed around. Monmon Odette had redecorated. Her grandmother had a fondness for antiques, history and tradition. Yet, Monmon Odette was no old lady clinging to the past. LaShaun smiled when she saw the combination radio and compact disc player on the other wide nightstand. The high tech device didn’t clash with the country style décor. Curtains with a lovely old rose pattern on a cream background matched the quilt, the rug and pillow shams. An overhead cane ceiling fan looked old enough to have come from one of the plantation homes alongVermilion River. Then LaShaun saw the family photos on a round table. She left the rocker and went to it. Several pictures were sepia toned, taken before the turn of the last century. “Celie LeGrange, 1866-1932” was written at the bottom of one. Monmon Odette’s mother. Jules Paul LeGrange, husband to Celie and Monmon Odette’s father, stared stone-faced from another photo. An even older picture of a lovely woman dressed in a long dress and button top shoes sat next to it. LaShaun did not have to read the faint letters to know her. Acelie LeGrange stared at her descendant across time, two hundred years to be exact. LaShaun’s mother stared from a photo taken in 1982. She looked beautiful in a flowered sundress. Francine stood next to a five year old LaShaun. Both wore forced smiles trying hard to look happy for the camera. LaShaun didn’t remember that particular day, but she remembered her mother’s overwrought disposition. Still in love with Antoine St. Julien even five years after he married another, Francine never found happiness. © 2014 All rights reserved. A Darker Shade of Midnight is the first book in the LaShaun Rousselle paranormal mystery series. Book excerpt reprinted by permission of the author, Lynn Emery. Do not reproduce, copy or use without the author's written permission. This excerpt is used for promotional purposes only. BPM: When did you get your first inkling to write, and how did you advance the call for writing? I read The Murder of Roger Ackroyd when I was ten years old. I already loved reading, but that book with its twist at the end did it. I closed the book and decided I wanted to write mysteries. I didn’t even know who Agatha Christie was, or that she was a white Englishwoman who was already dead by then. I didn’t think about being a poor little black girl living in the south who couldn’t even get to a library. I didn’t consult anybody, which meant no one told me my aspiration was outlandish and impossible. I simply said, “I’m going to write a murder mystery. Life happened. High school, college and my entrance to the adult world of working nine to five. Yet twenty years later I went back to my dream and started writing again. BPM: How did you initially break into the publishing industry? Did you ever self-publish? I attended a writer’s conference within driving distance of my hometown. I took a fellow author’s advice to attend writing events where editors and agents would be presenters and taking appointments. The advice I didn’t take was to schedule an appointment with them, a mistake that almost cost me dearly. 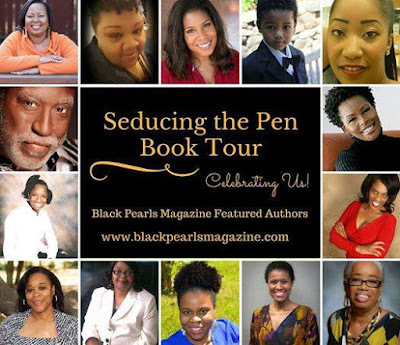 You see Monica Harris, the founding editor of Arabesque, was there. But I lacked confidence because I hadn’t finished my first book. I was told more than once not to expect to sell that first book. I also was told editors don’t consider, much less buy, unfinished books, certainly not from first time authors. Another published author who belonged to my RWA chapter was horrified when I told her I hadn’t scheduled to meet with Monica. I was literally the only writer of color at this conference, and Monica was hungry for submissions. A young editor, Monica had been only recently hired by Kensington Publishers and her big assignment was to launch the first, and at that time only, line of African-American romances. My work-in-progress was romantic suspense. This published author pushed me, not so gently, into approaching Monica during a break between her presentations. I went to my hotel room and quickly practiced a three to five minute pitch. I sweated during her workshop, and then screwed up the guts to follow Monica and introduce myself. In the hotel lobby I breathlessly pitched my book in the five minutes she graciously allowed me. About five or six weeks later, Monica called to offer me a contract. I sold my first book, and even though Monica knew it was unfinished. Night Magic was released in 1995. I would have to say courage, with a capital “C”. If I hadn’t pushed up my own courage, I wouldn’t have met Monica at all at that small conference. So writers should have courage, which will lead you to another capital “C” word, confidence. Courage will give you the confidence you may lack in your developing skill as a story teller and promoter of your own work. Courage will help writers overcome the tendency to stay in their isolated, insulated little worlds. When you step out of your comfort zone, you’re willing to network with and talk to other writers and publishing professionals. BPM: Can you share a little of your current work with us? 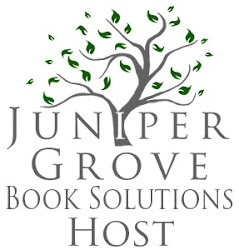 Introduce us to your book and the characters. 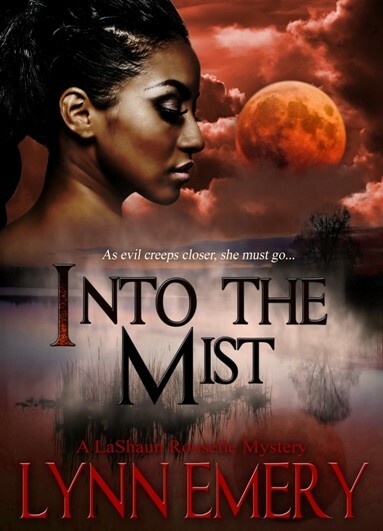 Into The Mist is the fourth title in the LaShaun Rousselle mystery series set in Vermilion Parish, Louisiana. LaShaun teams up with Cajun Vermilion Parish Sheriff’s Deputy Chase Broussard to solve grisly killings in this lovely bayou setting. Using her psychic abilities and Chase’s crime fighting skills, they fight human and supernatural killers. LaShaun Rousselle led a bad girl life in her teens and twenties, using the spells Monmon Odette, her beloved grandmother, taught her for all the wrong reasons. The results led to such a horrible string of events, that she left Beau Chene,Louisiana. LaShaun moved to Los Angeles with the thought that she would never return to Louisiana, much less Beau Chene. The series opens with her arriving back because of Monmon Odette, and over the course of the first three books she builds a life that she didn’t expect to have at all, including or especially in Beau Chene. Into The Mist opens with LaShaun being drawn into yet another of Chase’s cases, a kidnapping. As the story unfolds, the evil that that seems to have put a child’s life in danger creeps ever closer to those LaShaun loves the most. Everything LaShaun holds most dear is on the line, and she has to find answers to protect her family and the world. 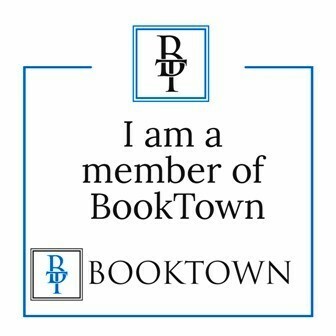 BPM: Are any scenes from the book borrowed from your world or your experiences? 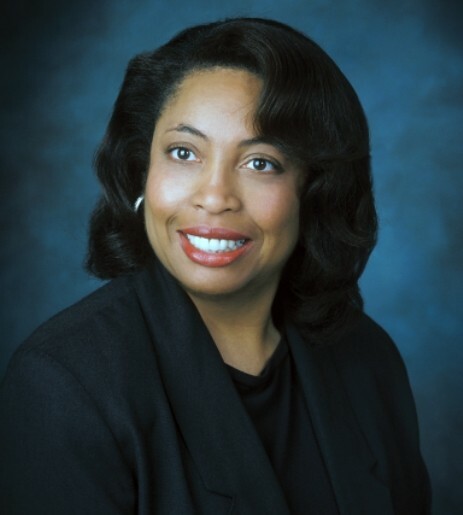 As a clinical social worker, I’ve been involved in child welfare cases, attended school conferences to advocate for children, and conducted abuse investigations. I also worked as a juvenile court consultant and in a psychiatric hospital. Although I do research even with my experience, a lot of the issues about children in the child welfare and special education systems come from what I’ve seen up close. The children in Into The Mist face these same challenges for a unique reason, and flaws in both systems only add to their vulnerability, as LaShaun and Chase discover. BPM: What genre is this book? Do you write all of your books in this category? Why? Into The Mist is a mystery with paranormal elements. I write mysteries now, though my first seven books are romantic suspense. What’s interesting is I never intended to write romance. The first writing group I found, or rather a member found me because we worked in the same building, was a local chapter of RWA (Romance Writers of America). I even told her that I wasn’t writing romance, but she said that didn’t matter. So I joined. A published author who belonged to that RWA chapter advised me to try writing romance because editors were in the market for them in a big way (this was the mid-1990s). Breaking into the mystery genre was tough, but for writers of color it was pretty much impossible back then. I felt very discouraged until she told me about romantic suspense, the subgenre I hadn’t even heard of at the time. Once I found out I could kill people, the words started flowing on my first book. BPM: How may our readers follow you online? Readers are welcome to visit my website at www.lynnemery.com. I’d love for them to sign up for my monthly newsletter while they’re there. 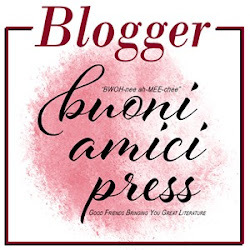 The newsletter includes exclusive free books and other goodies available only to subscribers, in addition to fun articles. Let’s socialize!